I ran a number of strides as a warm-up. But the race start was delayed. I stayed calm at the front of the field then ran a fast first mile in 5:47 along residential streets. I passed many runners despite my calf muscles aching from the second mile. I ignored the water stations as I continued to advance my race position. As the weather became overcast I saw my supporters. The crowds were loud at times, some cheering me as “Runner 763” and praising my “good running”. On the second lap my legs felt fatigued. Rather than slow I alternated my foot strike to challenge different muscles. Running flat footed helped keep the pace consistent. Closing in on the final few miles I used a soaking wet sponge to moisten my head and face, which felt excessively dry. I battled with two runners over the final stretch but ultimately came up short. I still managed a final sprint across the grass before collecting my medal. 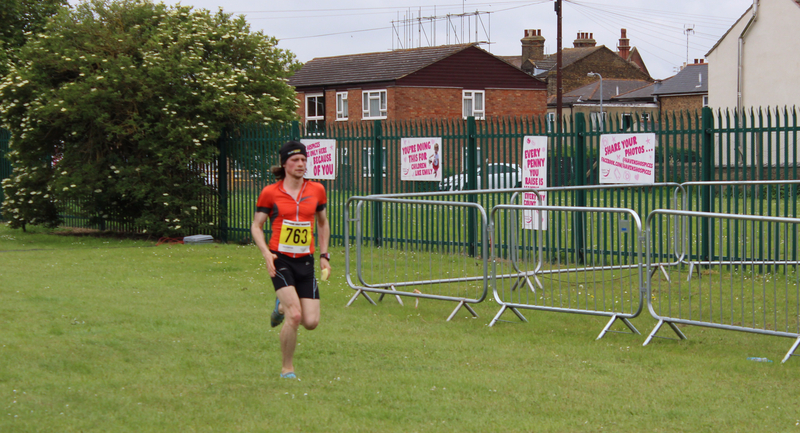 The race was my second Southend Half Marathon, and my fifth half marathon. The experience brought back fond memories of my first ever road race in 2011. I felt pressure to ensure I improved my performance, although I contained my nerves. My training had gone well, culminating in a 9-mile run in 57:40 (6:25 per mile pace) three weeks prior. I felt confident and despite the cool conditions, I began the race strong. 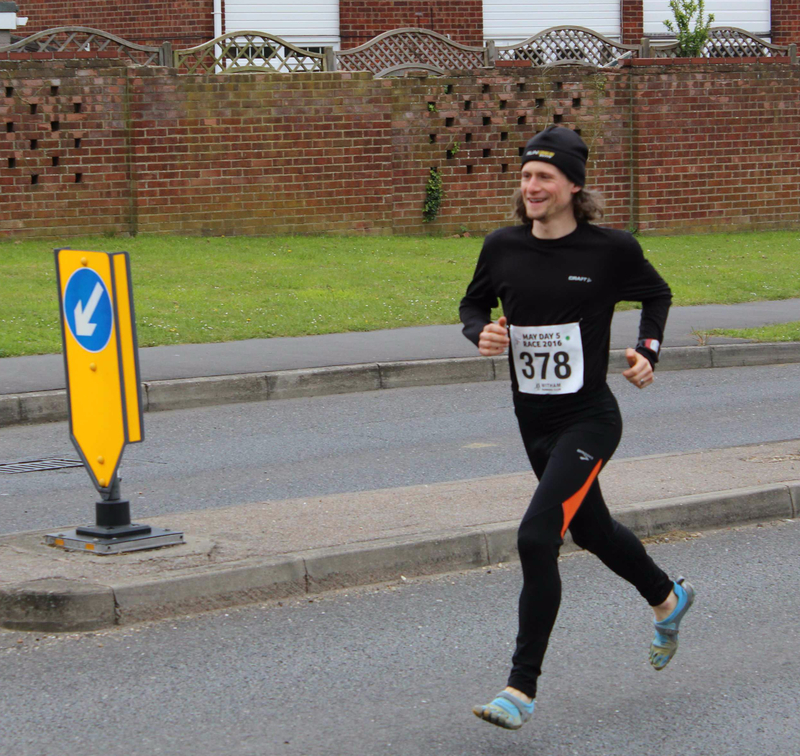 The significant pain in my calf muscles was a concern, but I coped well throughout the race. I maintained a steady, fast pace throughout the flat course and was extremely pleased with my finishing time of 1:22:50 (6:19 per mile pace), shaving over 6 minutes off my personal best. I finished in 29th position out of almost 2,000 runners (18th in my age category). I was also proud of raising £140 for Havens Hospices, the local charity that organised the event. The day proved again that my hometown brings the best racing out of me. The sky was overcast and drizzly. My mum, partner and I waited for the start of the race in the crowded sports hall. I was confident of a good race so I started at the front of the pack as the gun went off. By the first quarter of a mile I was gasping for breath and my legs felt tired. My enthusiasm was soon squashed and I settled into a smooth, comfortable rhythm. Not long into the race I saw my supporters. I threw them the gloves I had taken off. I tried to keep with other runners, but every time I found a steady rhythm I would be deserted again. One dropped off my pace to run with a fellow club member, another got too far ahead of me. Still, I stayed mentally strong, refusing to stop, even when I accepted water from the numerous aid stations. The weather improved, brightening the scenic route. I kept checking my watch and noticing the mile markers were accurate. I overcame the occasional hills and repeated sections without feeling deflated. As the distance dragged on and my pace slowed my mind strayed to food. I wanted the banana I had given my family to keep ready for me but I had to cross the line before I could replenish the calories I had burned. 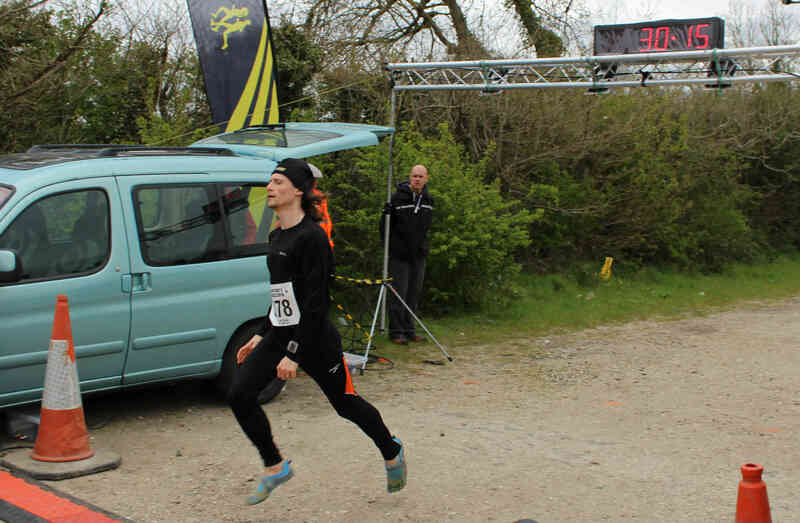 It was a hugely satisfying race as I finished in the top third overall, and in the top half of my age and gender category. In contrast to my first marathon I was able to interact with the marshals on route and not feel as if I had failed to represent my capabilities. I ran my second marathon because it was local and I needed to prove to myself that I could run the entire distance. I followed an intermediate training plan that lasted more than 20 weeks. I developed mental strength and a greater tolerance for pain during my long runs, and overcame a bout of illness. My first marathon taught me so many lessons about preparation. The changes I have made since then meant I finished 46 minutes quicker. I registered for the event months in advance. I used a respectable source for training advice (a plan endorsed by Runner’s World magazine). I logged my workouts and mileage, through my previous blog. I learnt to use more functions on my Garmin watch, including lap counts, which encouraged me to run slower and to warm-up and cool-down. I still made one mistake pre-race; thinking that gluing together the front of my well-worn trainers meant adequate footwear. Most memorable were some impressive runners that participated in the race, including Rob Young and athletes that were completing their 100th, 200th and 600th marathon. It was also the first time I appreciated runners who finished last, for some had endured over seven hours on the route. Unsurprisingly, my gut reaction was to sign up for my next marathon.